Houses & Homes VA: Think Radon gas is only a “basement problem”? Think again. Think Radon gas is only a “basement problem”? Think again. By now you have no doubt heard of Radon gas but do you know where it comes from? 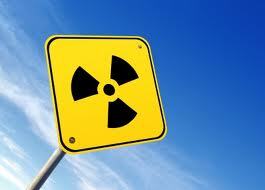 Radon is produced as Uranium decomposes in rocks or soil, yes, Uranium. Now you know why Radon is such a concern (or should be) to homeowners nationwide. Radon finds its way into our homes through cracks in the foundation walls or even water wells. There are many health hazards associated with radon exposure including lung cancer. Most people think that radon is only a problem in the basement but this is not true. Even if we have an unfinished basement that we spend very little time in radon gas can still permeate into the upper levels of our home. It is for this reason that every homeowner should test for Radon. Test kits are available at just about any hardware store or home improvement center and are very easy to use. After following the directions on the package simply seal up the results and send them to the appropriate lab as instructed. Within a few weeks you will receive your results. If you discover that you do have a problem it is imperative that you take the proper steps to correct the situation. The right way to eliminate radon gas in the basement is to depressurize the soil around the home. This is not a DIY type situation and I strongly recommend that you hire professionals for this job. They will need to drill a hole through the slab and insert a vent pipe into the underlying ground. This pipe will then need suction applied which will disperse the gas through the soil and into the outside air. I have heard estimates from between $1,000 to $3,000. I consider that to be a pretty fair deal considering the health benefits of having it done properly. There are some less expensive methods for dealing with Radon including sealing foundation cracks, painting the basement with a special paint that will actually reduce Radon penetration and even hanging plastic sheets on the walls. Radon that enters the home through the water supply can be eliminated by installing either an aeration or charcoal filter system on the incoming water line. It’s best to speak to an expert if you do have a Radon gas problem to deal with but the most important step is to test for the gas first.